So it is the second day of LFW, and I am already exhausted!!! But it has been worth it, as this season the designers have really raised the bar. Check out what I have been up to bellow, and stay tuned for more detailed photo reports of shows. A few (unedited) photos from day 2. And a few of my tickets. 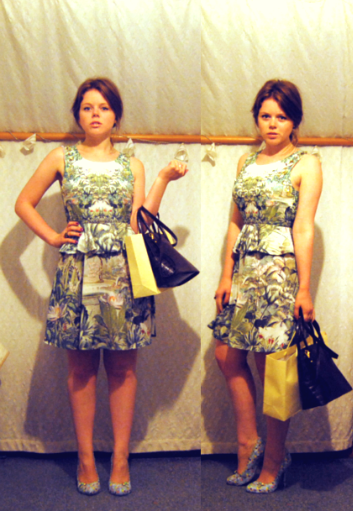 On day 2 I wore one of my favourite printed backless dress from the H&M Conscious collection. See the full details on my lookbook!! Wooow super chic outfit! Perfect for LFW! Love it! You look so adorable in that dress! !